Author Lisa Gail Green: Cover Reveal for THE BINDING STONE! Cover Reveal for THE BINDING STONE! 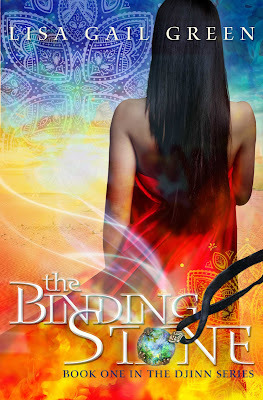 Thanks to the AH MAY ZING cover artist and fellow writer, Lisa Amowitz, I bring you the GORGEOUS cover of the first book in the DJINN series, THE BINDING STONE. May the oohing and ahhhing commence. Yay Lisa! I love your cover. It's gorgeous. Gorgeous! I especially love the blue background! The jewel tones are perfect! And since today's the first I've read about your premise, it sounds so intriguing! This is so gorgeous, Lisa!!!!!! I'm thrilled for you! And I'm excited to,see what changes you've made to an already wonderful story. 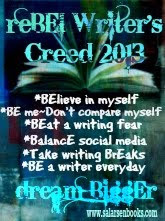 I predict BIG things based on what Ive read and your always wonderful writing! Thank you for all the compliments! It was a pleasure working with Lisa and Ian on this. Oh my yes, oooooing and aaaaaaahhhhing and may I make an offer? I have almost 200 reviews on Goodreads and am now often listed in the top 10 to 20 reviews for YA books so I would love to get my hands on an advanced copy and spread the word for you on Goodreads and my blog. 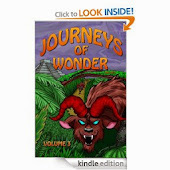 This premise is RIGHT UP MY ALLY and advanced or not, I'll be buying this one for sure!!!! You guys are all awesome! Thank you so much for the support!! Well done Lisa squared. Gorgeous cover - awesome story. Library Jumpers Cover and Birthday Wishes!